In stock at Walmart.com on 8-4-2018. Selectable Power Output Choose between High Power to maximize range or Low Power to conserve battery life (in GMRS). 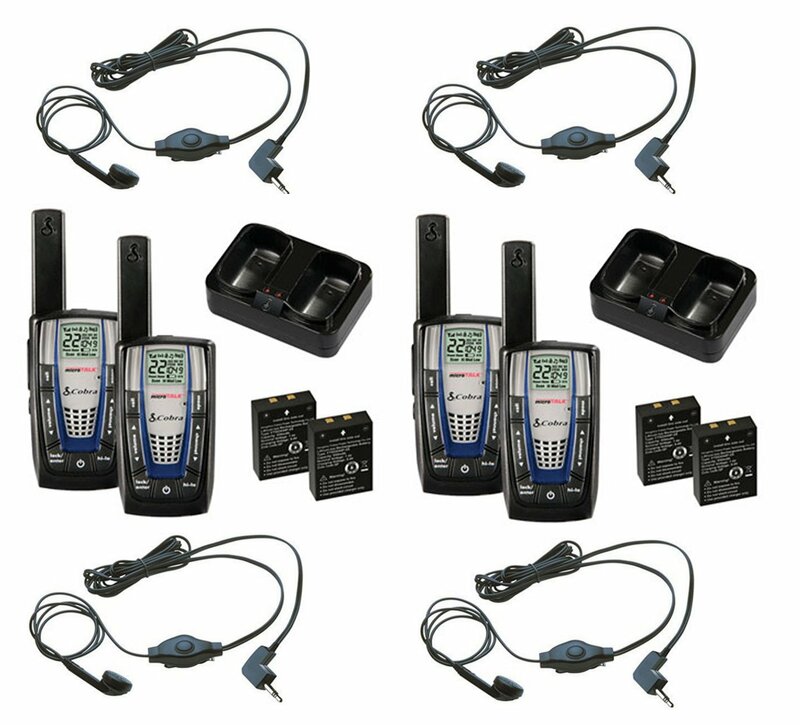 3124 Channel Combinations Available when the 22 channels are combined with the 142 privacy codes (38 CTCSS/104 DCS), these combinations prevent interference from other radios. NOAA Weather & Emergency Radio Be prepared for storms and emergencies with the built in NOAA radio receiver providing coverage of all government operated weather channels. VOX The user's voice is detected and the radio transmits without the need to press any buttons, freeing hands for other tasks. 5 VOX sensitivity levels allow the user to select at which point the radio will detect their voice. Patented VibrAlert Provides a silent alert for incoming calls. Ideal for noisy or all quiet environments. 10 Channel Memory Allows the user to program up to 10 channel or channel/privacy code combinations for easy retrieval. Scan Feature Allows the user to scan either channels or privacy codes within a channel to locate conversations in progress. Key Lock When activated, provides key pad security eliminating accidental channel changes. 10 Call Tones Allows the user to differentiate between up to 10 different parties on incoming calls. Roger Beep Tone (selectable) Confirmation tone indicates the completion of the user's transmission, and signals to others it is clear to talk. This feature is selectable and can be turned on or off. Maximum Range Extender Overrides Auto Squelch to provide extended range reception. Keystroke Tone Signal (Selectable on/off) Confirms key activation. This feature is selectable and can be turned ON or OFF. Speaker/Microphone/Charger Jack Allows use of wall charger, or earphone speaker/microphones (not included) for hands free inch operation. Belt Clip Secures your microTALK radio while on the go. 2 Lithium Ion Batteries Ultra compact, high capacity rechargeable batteries. Two Port Desktop Charger Charges supplied Lithium Ion batteries inside radios. Charger accommodates 1 or 2 radios.